UPLAND UNIFIED SCHOOL DISTRICT AND WEST END SELPA. The due process hearing in this matter is based upon Student’s due process complaint, which she filed on December 7, 2007, and amended on December 26, 2007. The hearing convened on December 8 and 10, 2010, and January 4, 2011, at the offices of the West End Special Education Local Plan Area in Rancho Cucamonga, California, before Administrative Law Judge (ALJ) Darrell L. Lepkowsky from the Office of Administrative Hearings (OAH), State of California. Tania L. Whiteleather, Esq., of the Law Offices of Tania L. Whiteleather, represented Student and her parents. Student’s mother was present each day of the hearing. On the second day of hearing attorney Maria Macchiagodena appeared on behalf of Student’s witness Regina Konior, who had been Student’s fourth grade teacher. Ms. Macchiagodena left after Ms. Konior finished testifying. Student called Lynda Spicer, Mother, Monica Cobb, Catherine Flores, Regina Konior, Mary Elizabeth Madkin, and Christopher Russell as witnesses. In addition to Ms. Spicer, Ms. Madkin and Mother, the Districts called Dr. Miroslawa Rendon as a witness. At the close of the hearing on January 4, 2011, the parties requested that the case be continued to allow them time to file written closing briefs in lieu of oral closing arguments. The ALJ granted the request, directing that the parties file their briefs no later than January 18, 2011. The parties agreed that the Decision in this case would be due one month after the filing of the parties’ briefs. On January 18, 2011, the parties filed a stipulation with OAH that they would file their briefs one day late. All parties filed their briefs on January 19, 2011, pursuant to their stipulation, at which time the matter was submitted and the ALJ closed the record. a) Whether the Districts denied Student a free appropriate public education because they failed to hold an individualized education program (IEP) meeting at the request of Student’s parents to discuss the Districts’ proposed assessment plan and the length of time required by the Districts to conduct the assessment? Student filed a due process hearing request in a previous matter on or about June 29, 2005, in OAH Case No. 2005070306, alleging violations of her rights to a free appropriate public education (FAPE) between 2002 and 2006. On June 13, 2007, the first day of the hearing in that matter, Student’s parents and Upland reached a settlement agreement in principle, which was memorialized on the record before the ALJ hearing the case. However, the parties did not finalize the language of the agreement and execute it until June 21, 2007. The SELPA was also a signatory to the agreement. In the agreement, Upland agreed to provide Student and her parents with reimbursement for educational expenses and attorney’s fees. The agreement also provided for Upland to provide Student with an intensive reading program through a company called Lindamood-Bell, 2 and to receive compensatory speech and language sessions. In addition, the agreement stated that Student’s parents were consenting to have her assessed by Upland, that they would make her available at reasonable times for the assessments, and that they would provide releases to Upland for information from other educational agencies responsible for child find obligations. Finally, the agreement stated that if Parents were unwilling to provide the releases or to cooperate in the assessment and development of an offer of a free appropriate public education for Student, she would be considered a student voluntarily placed in a private school for the 2007-2008 school year. Although Student accessed the Lindamood-Bell services and the speech and language services provided for in the agreement, the already contentious relationship between Mother 3 and Upland continued to deteriorate. As will be discussed below, by December 2007, the assessment of Student referenced in the settlement agreement still had not occurred. Student then filed the instant due process case on December 7, 2007, which she amended on December 26, 2007. On May 14, 2008, OAH granted the Districts’ motion to dismiss Student’s due process request. OAH found that the claims raised by Student were “inextricably linked to, and controlled by, the terms of the settlement agreement,” since the substance of Student’s complaint alleged that she complied with the agreement whereas the Districts had not. OAH found that resolution of the issues raised by Student in her complaint was directly controlled by the settlement agreement, not the IDEA. OAH applied the Ninth Circuit’s ruling in Wyner v. Manhattan Beach Unified Sch. Dist. (9th Cir. 2000) 223 F.3d 1026, 1028-1029 (Wyner), where the court found that OAH did not have jurisdiction to enforce its own orders, noting the limited jurisdiction afforded to agencies such as OAH pursuant to IDEA. OAH determined that whether the Districts had failed to comply with the settlement agreement would necessitate OAH resolving a breach of contract issue between the parties, which OAH determined was beyond its jurisdiction, pursuant to Wyner. Student appealed the dismissal of her due process request to the United States District Court for the Central District of California. That case is entitled S.L., a minor, by and through her Guardian Ad Litem [Mother] v. Upland Unified School District and West End SELPA, local educational agencies, Case No. CV 08-4936 GAF (FFMx) (herein, District Court Decision). During the course of the proceedings in the district court, Student and the Districts deposed Mother, and Student deposed Lynda Spicer, the District’s former Director of Student Services. On August 24, 2010, the district court issued its Memorandum & Order Regarding Appeal of Administrative Decision. The district court made factual findings regarding the procedural history of the case and then discussed the case law concerning OAH’s jurisdiction over settlement agreements. After an in-depth discussion, the district court found that Wyner only addresses situations where a settlement agreement has been incorporated into a hearing officer’s order and does not provide authority for “broadly stripping state administrative hearing officers of jurisdiction over disputes regarding IDEA settlement agreements that have not been formalized in final administrative orders.” (District Court Decision, at p. 11, emphasis in the original.) The district court then analyzed Judge White’s decision in R.K. ex rel. T.K. v. Hayward Unif. Sch. Dist. (N.D.Cal. 2007) 2007 WL 2778702, which found that in the absence of a final order from OAH regarding enforcement of a settlement, Wyner was not a jurisdictional bar to OAH hearing claims regarding settlement agreements. 1 The date of the agreement was erroneously identified as June 20, 2007, in the Order Following Prehearing Conference dated November 22, 2010. 3 Student’s mother was the parent involved in most decisions regarding Student’s education and the parent who communicated with the District. The district court ultimately concluded that informal settlements of issues under the IDEA, which are reached outside of mediation or resolution sessions are properly reviewed and enforced in OAH proceedings. The district court therefore reversed OAH’s decision dismissing Student’s due process complaint for lack of jurisdiction, and remanded the matter to OAH for further proceedings. OAH thereafter reset the matter for hearing. At the hearing in the instant matter the parties were unable to reach a stipulation regarding the underlying facts in this case. However, in lieu of testimony, they submitted the depositions of Mother, taken on January 20, 2010, by Student, and on January 29, 2010, by the Districts, and the deposition of Lynda Spicer, taken by Student on January 29, 2010. The ALJ’s Factual Findings in this case are therefore based upon the depositions, including all documents identified during the depositions, the factual findings made by the district court in its August 24, 2010 Memorandum & Order, the testimony of witnesses at hearing, and the documents admitted into evidence at the hearing on January 4, 2011. 1. Student is a young lady who is presently 13 years old. She has previously been found eligible for special education and related services under the eligibility classification of mental retardation, which is now referred to as an intellectual disability under federal law. Student’s eligibility as a special needs child is not at issue in this case. 2. Student began attending school in Upland for kindergarten for the 2002-2003 school year. Her parents were not happy with the educational program Upland offered and eventually decided to withdraw Student and place her in a private school called Our Lady of Assumption, a parochial school located within the boundaries of the Claremont Unified School District. Student remained at the private school at least through fifth grade. 3. Student has not attended school in Upland since kindergarten. 4. Upland administered a full battery of assessments to Student in either 2003 or 2004. Those assessments had taken a total of approximately six hours to administer. 5. Student filed a due process hearing request against Upland on or about June 29, 2005, in OAH Case No. 2005070306, alleging violations of her right to a free appropriate public education (FAPE) between 2002 and 2006. 6. On April 16, 2007, Upland, through Director of Student Services Lynda Spicer, sent a proposed assessment plan to Student’s parents. The assessment was needed in order to prepare for Student’s 2007 triennial IEP and to meet the requirement that a special education student be assessed at least every three years. In her letter, Ms. Spicer indicated that since a due process hearing was pending for Student, Upland was responsible for her assessment. The assessment plan itself is dated April 17, 2007. 8. Upland also attached a type-written document which listed each area of assessment, the specific testing instruments each assessor would utilize for his or her assessment, and the approximate time each area of assessment would take. At the bottom of this page Upland indicated that it believed it would need 12 to 15 hours with Student to complete the assessment. There is no legal requirement that an assessment plan indicate the assessment instruments to be used or the time each assessment will take. 9. Student’s parents did not immediately sign the assessment plan. Rather, they proceeded to hearing in Case No. 2005070306. On June 13, 2007, the first day of hearing in that matter, the parties reached an agreement in principle to settle the case. The agreement was put on the record in front of the ALJ assigned to the hearing but not reduced to writing that day. 10. At the hearing on June 13, 2007, Upland also presented Mother with another copy of the April 17, 2007 assessment plan for her to sign. Mother did not check off the box giving her permission for the assessments to begin. Rather, she checked the box which states “I prefer to meet and discuss the assessment plan before I give approval.” In her handwriting, Mother added next to the checked box “We are requesting the following dates 7-2, 7-9, 7-16, 7-30.” Mother signed below her handwritten request and also signed the form at the bottom, dating it June 13, 2007. She returned the signed form to Upland. 2. Lindamood-Bell Services. Without admitting liability, and in consideration of the agreements set forth above, the District agrees to provide Student with a total of eight (8) weeks of services through Lindamood-Bell, for a total of four (4) hours per day to begin by June 25, 2007. The Lindamood-Bell services shall be paid at the standard West End SELPA contract rate for Lindamood-Bell services. All sessions with Lindamood-Bell must be completed by March 31, 2008. Any sessions not used by March 31, 2008, shall expire and cannot be made up. 3. Speech and Language Services. Without admitting liability, and in consideration of the agreements set forth above, the District agrees to provide compensatory education speech and language therapy services through the non-public agency, Casa Colina, for a total of fifty (50) 1-hour sessions (or 6 months, twice per week). All sessions must be completed by March 31, 2008. Any sessions not used by March 31, 2008, shall expire and cannot be made up. 4. The Parents consent to, and agree to make Student available for assessments to determine eligibility for special education and related services, and placement options and for the purpose of developing an offer of FAPE for the 2007/2008 school year. Parents also agree to make Student available at reasonable times for the assessments to develop an offer of FAPE for the 2007/2008 school year. Parents agree to provide releases among the local educational agencies responsible for Child Find, including any other educational agencies, whatever they may be for the purpose of developing an offer of FAPE for the 2007/2008 school year. 5. If Parents are unwilling to provide a release among the agencies responsible for Child Find and to cooperate in the assessment and development of an offer of FAPE for 2007 and 2008, [Student] shall be considered to be a student voluntarily placed in a private school for the 2007/2008 school year. If Student is privately placed and Parents decide to later request an offer of FAPE, Parents will provide a written notice of an interest in an offer of FAPE to the District. 12. The agreement does not contain a list of the assessments that Upland proposed to administer to Student. It does not incorporate by reference the assessment plan dated April 17, 2007. It does not state that Parents agree to sign the April 17, 2007 assessment plan or any other specific assessment plan. Nor does the agreement specifically state that Parents are agreeing to any specific assessment plan. 13. The settlement agreement does not define what “reasonable times” means. 14. The Districts did not provide Student’s parents with another assessment plan at the time the parties executed the settlement agreement on June 21, 2007, nor did they provide Parents with proposed dates to assess Student. 15. On June 22, 2007, the Districts’ attorney sent a letter to Christopher Russell, the special education advocate for Student’s parents, suggesting the parties meet on June 27, 2007, in response to Mother’s request for a meeting to discuss the assessment plan. The Districts’ attorney suggested June 27 since the parties had been scheduled to be at hearing on the case they settled on that date. This letter did not include another copy of the assessment plan or propose dates for Student’s assessment. 16. Student’s attorney responded to this letter on June 22. She indicated that she considered the request for a meeting to discuss the assessments to be a request for an IEP meeting. She also highlighted the fact that Mother had provided specific dates on which she was available to meet on the assessment plan she had signed and returned to the Districts, and that Mother was no longer available on June 27. 17. Also on June 22, 2007, Ms. Spicer wrote a similar letter to Parents to schedule the meeting to discuss the assessment plan pursuant to Mother’s request. Ms. Spicer also suggested the parties meet on June 27, 2007, stating she believed everyone would be available that day since it had originally been a date scheduled for the due process hearing in the case the parties had settled. Ms. Spicer did not include a copy of the assessment plan and did not propose any dates for Student’s assessments. 18. Mother replied to Ms. Spicer’s June 22 letter on June 25. She stated that she was not available on June 27, and that it was improper for the District to assume that she was. Mother reiterated that she was available on the dates she had previously indicated. Mother also asked that the Districts follow through with arranging for Student to receive the Lindamood-Bell services. 19. On June 27, 2007, Ms. Spicer responded to Mother’s June 25 letter. She indicated she would be out of town on July 2 and July 9, the first two dates Mother had requested for the proposed meeting, but that she had arranged to be available on July 16. Ms. Spicer indicated that the Districts’ attorney would be available that date as well. She also indicated that the Districts were processing Student’s services through Lindamood-Bell. Ms. Spicer did not include another copy of the assessment plan and did not propose any dates on which to assess Student in this letter. 20. Mother wrote a letter to Ms. Spicer on July 12, 2007, indicating that she objected to the presence of the Districts’ attorney at the meeting scheduled for July 16, 2007. In her letter, Mother characterized the meeting as an IEP meeting. She stated that she objected to the Upland releasing personal and medical information concerning Student to the Districts’ attorney and would consider any disclosure of information to him to be an invasion of Student’s privacy. Mother believed that the only reason the Districts wanted to have their attorney present at the meeting was to retaliate against Student and her family for filing for due process. Mother also requested a copy of Student’s cumulative file, as well as all access logs for the files and the name of the person responsible for insuring the confidentiality of Student’s records. 21. The parties met as planned on July 16, 2007. The Districts did not consider it to be an IEP meeting but rather a meeting only to discuss Student’s assessments, as requested by Mother, and informed Mother of this at the beginning of the meeting. Present at the meeting were a District psychologist, a District speech pathologist, a special education teacher, Ms. Spicer, and a SELPA representative. A general education teacher was also available if needed. The Districts’ attorney did not arrive until approximately 30 minutes after the meeting started. 22. Mother attended the meeting accompanied by Christopher Russell, her educational advocate. They both voiced their objections to having the Districts’ attorney present, stating that it violated their rights under the re-authorized IDEA. They also stated that they had contacted the procedural safeguards unit at the California Department of Education and that a representative there had agreed with their position. Both Mother and Mr. Russell indicated they intended to file a complaint with the State Bar as well. Mother informed the other meeting participants that she and Mr. Russell would leave the meeting as soon as the Districts’ attorney arrived. 23. Mr. Russell and Mother then discussed the two concerns they had with the proposed assessments. They felt that 12 to 15 hours of assessments were too long, particularly in light of the fact that the Districts’ previous assessment of Student had only taken approximately six hours. They also were concerned about having Student assessed during the summer because she was attending the Lindamood-Bell program four hours a day in the morning and, given the intensive nature of the program, was exhausted by the end of the day. Additionally, Mr. Russell stated at the meeting, and Mother confirmed during her testimony at hearing, that Student and Mother were living away from home during the week so that Student would be closer to the Lindamood-Bell offices. Mr. Russell suggested that the Districts wait to assess Student until after the school year started in the fall. 24. The Districts’ speech pathologist, Dr. Miroslawa Rendon, then attempted to explain why she felt she would need approximately five hours to assess Student. Mr. Russell, who is not a speech pathologist and is not trained to administer any type of assessments to students, questioned the time needed for each of the tests Dr. Rendon proposed to administer. He and Mother wanted to see the test manuals to determine if the times indicated by the Districts for the assessments coincided with what the test manuals indicated was appropriated. Dr. Rendon pointed out that the individual capabilities of each student would dictate the time each would need on a respective test. 25. The Districts’ attorney then arrived at the meeting. Mother and Mr. Russell indicated their intent to leave as they had previously indicated they would. Ms. Spicer attempted to continue the conversation, pointing out that the settlement agreement contemplated that the assessments of Student would be completed during the summer in order for Parents and the Districts to develop an IEP for her for the 2007-2008 school year. Mother and Mr. Russell replied that the settlement did not specify that the assessments would be completed by any specific time and did not indicate that they would be conducted during the summer. 26. Although the settlement does not expressly state that the assessments would be administered to Student during the summer, it does specifically state that the purpose of the assessments was to determine Student’s “eligibility for special education and related services, and placement options and for the purpose of developing an offer of FAPE for the 2007/2008 school year.” The only way to make such an offer of FAPE for that school year therefore was to have assessments completed and an IEP developed and offered before the school year began. The intent of the settlement agreement therefore was to have assessments completed during the summer to assist the parties in developing Student’s IEP before the 2007-2008 school year began. 27. Mr. Russell, Mother and the Districts’ attorney then discussed the issue of the attorney’s presence at the meeting. Mr. Russell, taking the position that the meeting was actually an IEP meeting, stated that the Districts had not given Mother enough notice of the fact that their attorney would be attending the meeting. He and Mother continued to object to the attorney’s presence. The attorney was unable to convince Mr. Russell and Mother to continue participating in the meeting. They left without engaging in any further discussion of Student’s assessments. The Districts’ representatives terminated the meeting shortly after Mother and Mr. Russell departed. 28. At the meeting, the Districts did not propose any specific dates to assess Student and did not present Mother with a new assessment plan to sign. 29. The next communication between the Districts and Mother was on July 24, 2007, eight days after the July 16 meeting, when Ms. Spicer wrote Mother a letter. Ms. Spicer described what had been discussed at the meeting. She noted that Mother had indicated Student would be living away from home while attending the Lindamood-Bell program. Ms. Spicer calculated that Student would finish the Lindamood-Bell program approximately August 20, 2007, a week before the Upland school year would begin. 30. Ms. Spicer then quoted from section A(4) of the settlement agreement which addresses Parents’ agreement to make Student available for assessments at reasonable times in order to develop an offer of FAPE for the 2007-2008 school year. Ms. Spicer continues by stating that it was clear that Mother did not intend to adhere to section A(4). Quoting section A(5) of the agreement, Ms. Spicer then notified Mother that the Districts were now considering Student to be voluntarily placed in a private school for the 2007-2008 school year. Ms. Spicer ended the letter by informing Mother that if she later decided to request an offer of FAPE from Upland, Mother should contact the Claremont Unified School District regarding necessary assessments. Ms. Spicer did not include a copy of the assessment plan and did not propose any dates to assess Student. 31. Mother wrote a letter to Ms. Spicer on July 27, 2007, reiterating her objections to the presence of the Districts’ attorney at IEP meetings. She also requested copies of [school] board polices regarding disclosure of student records to legal counsel and other third parties and any legal authority for the Districts’ position that it can release student records to their attorneys. 32. On August 1, 2007, Mother wrote a letter to Ms. Spicer to clarify issues raised in Ms. Spicer’s letter of July 24. Mother noted that the District did not consider the July 16, 2007 meeting to be an IEP meeting. She also reiterated her objections to having the Districts’ attorney participate in the IEP process or having access to Student’s records. 33. Mother then stated that her objections to having the Districts’ attorney participate in Student’s IEP process and her questions concerning the duration of the assessments did not mean she was refusing make Student available for assessment or refusing to comply with the settlement agreement. Mother stated that she was willing to produce Student at “reasonable” times, although she did not consider 12 to 15 hours to be reasonable. She continued by stating that she had never told the District that she would not make Student available for the assessments. Mother then reiterated the requests for records and legal citations she made in her July 27 letter, as well as made a request for additional records. 34. Student’s attorney wrote to the Districts’ counsel on August 3, 2007. In her letter, she stated that as part of the settlement agreement between the parties, Student’s parents agreed to sign an assessment plan, which they did, requesting an IEP meeting to discuss the proposed assessments. Student’s counsel also objected to the release of Student’s Lindamood-Bell records to the District. Finally, Student’s counsel requested the Districts to convene another “IEP” meeting, with proper notice to Parents, and with all necessary parties present, and without the presence of the Districts’ legal counsel. 35. On August 7, 2007, Ms. Spicer wrote to Mother in response to her request for records. Ms. Spicer also reiterated that Upland would continue to follow the terms of the parties’ settlement agreement, which now included considering Student to be voluntarily placed in a private school for the 2007-2008 school year. She did not include another assessment plan with her letter or propose any dates on which to assess Student. 36. On August 16, 2007, the Districts’ attorney wrote to Student’s attorney in response to her August 3 letter. He correctly pointed out that Student’s parents had never signed an assessment plan. Rather, they checked the box indicating they wanted to discuss the plan before consenting to it. The Districts’ attorney then took the position that the District did not have a right to assess Student since her parents had not signed the assessment plan, and that parents were still refusing to cooperate in the assessment process. 37. As will be discussed below, the Districts were incorrect that they could not assess Student. Her parents gave consent to her being assessed by signing the settlement agreement. 38. Mother next wrote to the District on October 11, 2007, approximately a month and a half after the beginning of the 2007-2008 school year. She stated that she had made several attempts to indicate that she was interested in having Student assessed by Upland, and was reiterating that she intended to make Student available for assessment. Mother also reiterated her objection to the proposed 12 to 15 hour duration of the assessments, but continues by stating that it was her intent to collaborate in the assessment process. She states that Parents had not received a placement offer for Student and that Student therefore was continuing to attend Our Lady of Assumption (OLA). 39. Mother continued her letter by reiterating that she continued to seek assessments and an offer of FAPE from Upland for Student. Mother then provided a list of dates and times for which she would make Student available for assessment. She provided seven dates over a period of approximately four weeks, for a total of nine hours. 40. In her letter, Mother erroneously states that she signed an assessment plan on June 13, 2007. She did not. Her signature on that document indicates that she was asking for a meeting to discuss the assessment plan, not that she was giving consent to it. 41. Ms. Spicer replied to Mother’s letter on October 16, 2007. In the letter, Ms. Spicer reiterates the Districts’ position that Parents refused to make Student available for assessment during the summer of 2007 in clear violation of the parties’ settlement agreement, and that Student was therefore a voluntarily placed in her private school for the 2007-2008 school year. Ms. Spicer did not provide another assessment plan to Mother in this letter, did not agree to assess Student on the dates proposed by Mother, and did not propose any alternative dates for assessment of Student. 43. On November 9, 2007, Ms. Spicer again wrote to Mother in response to Mother’s most recent letters to her. In addition to addressing Mother’s continued request for records, Ms. Spicer stated that Parents failed to honor the parties’ settlement agreement by failing to make Student available for assessment during the summer. She reiterated the District’s position that Student was voluntarily placed in a private school by operation of the terms of the settlement agreement. 44. Ms. Spicer than restated her position that if Parents wished to enroll Student at a school in Upland they must first contact the Claremont Unified School District and request an assessment from that district. Ms. Spicer stated that “Federal regulations require that the school district where the private school is located conduct child find and assessment for purposes of Special Education. The District where the student resides is responsible for developing the IEP and making an offer of FAPE. 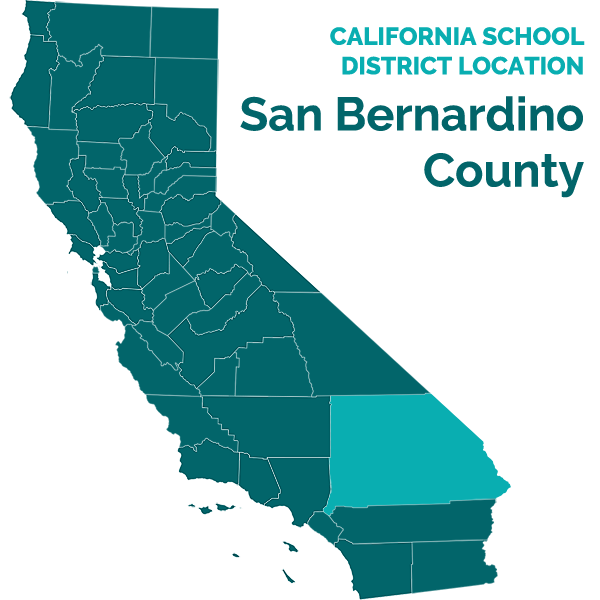 This requirement necessitates exchange of information between the school districts involved.” Ms. Spicer then indicated that she was enclosing a release of information forms for Parents to sign so that Claremont and Upland could exchange information. Ms. Spicer did not agree to conduct an assessment on the dates offered by Mother and did not offer any alternate assessment dates for Student. 45. As will be discussed below, Ms. Spicer was correct that Claremont Unified School District had a child find obligation with regard to Student while Student attended a private school located within Claremont’s boundaries, and thus was responsible for assessing Student. However, Ms. Spicer was incorrect in her statement that Upland had no duty to assess Student while she attended OLA. Rather, under the reauthorized IDEA, the schools had a concomitant duty to assess Student. 46. Parents requested that the Claremont Unified School District assess Student, stating that they were making the request because Upland had refused to conduct the assessment. Claremont assessed Student pursuant to Parents’ request in January and February, 2008. 47. The Districts did not assess Student at any time during the 2007-2008 school year. 48. Student attended school at OLA for the 2007-2008 school year, when she was in fourth grade, as well as for the 2008-2009 school year, when she was in fifth grade. 4 By the time Mother wrote her letter on October 31, 2007, four of the dates she was proposing for Student’s assessment had already passed. 49. Mother’s position during the course of this case, including her written and oral communications with the Districts, has been that the 12 to 15 hours of assessments proposed in the April 17, 2007 assessment plan, as repeated in the June 13, 2007 assessment plan, are unreasonable. Between June 13, 2007, when Mother indicated that she wished to discuss the assessment plan, and the time she filed this case, Mother continued to request that the District prove to her that the amount of time the Districts proposed to assess Student was reasonable. Mother insisted that the Districts provide the manuals for the assessment plans, that each assessor defend why each believed he or she would need the time indicated on the plan to complete their respective assessments, and, in one letter, insisted that the Districts provide redacted copies of other students’ assessment plans so that she compare the amount of tests proposed to those proposed for Student. 50. The only rationale Mother has presented for her position that the 12 to 15 hours proposed in the Districts’ assessment plan were unreasonable is that Student’s previous assessment by the Districts, when she was five or six years old, only lasted a total of six hours. Student presented no evidence that she was medically or emotionally fragile and therefore would not be able to tolerate the amount of testing the Districts proposed. 51. Student presented no evidence to support her contention that 12 to 15 hours was an unreasonable amount of time to take for a triennial assessment other than Mother’s testimony. Mother is a chemical engineer. She has no training or expertise in teaching or in assessing special education students. 52. Student presented the testimony of Mary Elizabeth Madkin during her case-inchief. Ms. Madkin has been a speech and language pathologist for 43 years. She has worked for hospitals, for school districts, and in her private practice. She has both a bachelor’s degree and a master’s degree in speech pathology, is a credentialed teacher, and has both state and federal credentialing as a speech and language pathologist. The focus of her testimony was the speech therapy she has provided to Student and Student’s continued need for speech and language services. In spite of Ms. Madkin’s experience and her expertise in her field, Student did not ask Ms. Madkin to evaluate the overall reasonableness of the Districts’ assessment plan or evaluate the reasonableness of the speech and language portion of the Districts’ assessment which was proposed to take approximately five and a half hours to complete. 53. Student did not ask any of her witnesses, other than Mother, to address whether the proposed duration of the assessments was reasonable. 54. The Districts presented the testimony of Dr. Miroslawa Rendon. Dr. Rendon has a master’s degree in communicative disorders and a Ph.D in linguistics. She has worked as a speech and language pathologist for Upland since 2002 and has been part of approximately 100 multidisciplinary assessment teams. She was the only witness presented, other than Mother, who addressed whether the Districts’ assessment plan was reasonable. Dr. Rendon testified that the 12 to 15 hours proposed for assessing Student was reasonable because it was a triennial assessment and therefore contemplated covering more areas than an annual assessment might cover. The assessment plan was meant to determine all of Student’s strengths and weaknesses, her capabilities, and her unique needs. Dr. Rendon also stated that at the July 16, 2007 meeting with Mother and her advocate, she tried to explain that the standards in the assessment manuals were based upon typically developing children. Special needs children would not necessarily be able to complete assessments as rapidly as would a typical child. Dr. Rendon also indicated that she has been involved in assessments for other children that lasted longer than the time proposed for Student. 55. Student did not offer any evidence to rebut Dr. Rendon’s opinion that the 12 to 15 hour total duration for Student’s assessment was reasonable. There is thus no convincing evidence in the record to support Student’s assertion that the amount of time the District believed it would take to assess her was unreasonable. 56. As a remedy, Student has requested that her parents be reimbursed for educational expenses they funded during the 2007-2008 school year. Student requests reimbursement for the tuition at OLA, minus the cost of tuition charges for any religious class, as well as reimbursement for the services of her one-on-one aides, and her privately-funded speech and language therapy sessions. Student also received additional after-school tutoring; it is unclear from her closing brief whether she is requesting reimbursement for that expense as well. 57. Mother testified that parents paid $4,010.00 for Student’s tuition at OLA. Although the cancelled checks provided as exhibits do not equal that amount of money, Mother’s testimony is supported by documentation from OLA stating what its tuition charges were for the 2007-2008 school year. 58. Student also requests reimbursement for the cost of her one-on-one aides. Mother testified that she paid each aide $15 an hour and that they worked for a full school day. However, there was contradictory testimony as to exactly how long each of the aides was at school each day because they did not accompany Student in her non-academic subjects such as physical education and music. Additionally, the testimony indicated that Student arrived late at school and left early on many occasions. Finally, Mother and Ms. Konior acknowledge that Student had excessive absences from school due to health-related issues. Mother’s testimony therefore is not helpful in determining the amount of reimbursement that would be due for Student’s one-on-one aides. 59.Student provided documentary evidence of costs for her aides through 1099 federal tax forms that Parents prepared for Ms. Cobb and Ms. Flores. However, these documents are not helpful because they cover only tax year 2008. Student’s reimbursement request is for the 2007-2008 school year; tax year 2008 only covers the latter portion of that school year. There was no testimony provided as to what portion of the 1099 documents should be apportioned to the second half of the 2007-2008 school year. 60. Therefore, the only reliable evidence for determining reimbursement for the costs of Student’s aides is the cancelled checks provided as part of Student’s exhibits. Discounting a duplicative check submitted for Ms. Cobb’s services (dated November 23, 2007), the total amount of reimbursement for Ms. Cobb’s services would be $4,303.75. The documentation for Ms. Flores’ services totals $2,395.50. 61. Ms. Madkin testified that she provided speech and language services to Student during the 2007-2008 school year. She did not testify to the number of hours of services she provided or to the amount she charged for the services. However, Student provided documentary evidence in the form of a cancelled check in the amount of $300 for speech and language services. Both Ms. Madkin’s testimony and Student’s history of speech and language challenges support the fact that Student required speech and language therapy during the 2007-2008 school year. 62. The District did not provide any evidence to rebut the amount of money Parents are requesting for reimbursement of funding they provided for Student’s educational costs during the 2007-2008 school year. 63. Student began attending school at OLA during the 2003-2004 school year when she repeated kindergarten. She remained at OLA through at least the end of fifth grade. 64. Our Lady of Assumption does not have any special education programs or special classes for students with unique needs. It does not have special education teachers, does not develop IEP’s for students, does not provide any related services such as speech therapy or occupational therapy, and does provide specialized reading intervention programs. However, it did provide an accommodations plan for Student under Section 504 of the federal Rehabilitation Act. Among other provisos, the 504 plan provided that Student would be provided with extra study time and would be permitted to take a test at a later date if she had not mastered a concept. The plan permitted Student to take tests alone with a one-onone aide, and to receive spelling words a week before the other students. It also permitted Student to be tardy to school and leave school early in order to receive special education services, and permitted her to be absent for up to 20 times a trimester (for a total of 60 times a school year) for medical appointments and other health reasons. 65. OLA does not provide instructional aides in class and does not modify its curriculum, which is based on California standards, for special needs students. However, OLA agreed in Student’s 504 plan that Student would be permitted a one-on-one aide in class. Ms. Konior and Mother clarified at hearing that Parents paid for the aides themselves. 66. Student had two aides at OLA during fourth grade. Monica Cobb worked with Student three days a week and Catherine Flores worked with Student two days a week. Ms. Cobb began working with Student during third grade. Ms. Flores began providing services to Student when Student started second grade. 67. Ms. Cobb has a bachelor’s degree in criminal justice and a master’s degree in public administration. Although she has taken some teaching courses, she is not a credentialed teacher. She continues to work with Student at present in Student’s home school program. 68. Ms. Flores does not have any college degrees. She has worked many years as an instructional aide and has taken training courses from the SELPA, such as in audio-visual therapy and reading and language interventions. 69. Both Ms. Cobb and Ms. Flores described Student as a quiet, compliant student. However, their descriptions of what the purpose of their assistance was, how much Student was learning in class, and how much work Student could accomplish independently was extremely divergent. 70. Ms. Cobb stated that her function was to prompt Student and to present information in a different way if Student did not understand the instruction from the classroom teacher. Ms. Cobb stated that she would use a whiteboard to direct Student to important information and would restate questions presented by the teacher. With regard to mathematics, Ms. Cobb stated that during fourth grade Student struggled with division and was only beginning to master smaller number multiplication, but that she was functioning at the high third grade or low fourth grade level. In language arts, Student was at about a third grade level although she had excellent spelling skills because she had a good working memory. According to Ms. Cobb Student did well socially in class as well. 71. Ms. Flores gave a different picture of the education Student received during fourth grade at OLA. She testified that while Student would listen to the classroom teacher’s instruction, Ms. Flores would do all questioning and testing of Student on a one-to-one basis outside of class. She needed to assist Student in finding the information in the books and study materials. Student always needed information repeated. Student had to work at a slower pace than the other students and did not always understand the work. Student did not do the essay writing or journal entries that the other students did. She had difficulty formulating sentences. Ms. Flores would compile what needed to be said in an answer, and Student would copy what Ms. Flores had done. Ms. Flores stated that Student did not understand or comprehend what she was doing, but would complete work as directed given the assistance Ms. Flores provided her. Student did not do any of the work herself. If Student could not complete the work independently, Ms. Flores did it for her. Student used a math ruler for math assignments; without the ruler Student could not add or subtract. Ms. Flores stated that Student was only at about a second grade in mathematics by the end of fourth grade. With regard to Student’s relationship with her classmates, Ms. Flores indicated that Student did not socialize with them and did not initiate contact with them, although she would talk to them in the classroom if they spoke to her. Ms. Flores stated that she was hired to make sure that Student’s work was completed. 72. Although Ms. Cobb’s educational level is much higher than that of Ms. Flores, ultimately, Ms. Flores testimony was much more persuasive regarding the assistance given to Student in class during fourth grade. Although Ms. Cobb was by no means evasive during her testimony, her response to questions was guarded. She continues to be paid by Parents to provide one-on-one aide services to Student, and therefore was much more likely to be circumspect in her responses to questions than was Ms. Flores, who is no longer employed as Student’s aide, and thus did not have any concerns that her answers could in any way influence her employment status. 73. Ms. Konior, Student’s fourth grade teacher, testified with an attorney from OLA representing her. Ms. Konior is a certified teacher with over 30 years of teaching experience. She has taught at OLA for 14 years. The academic subjects she covered in her fourth grade class consisted of math, language arts, science, social studies, and religion. She testified that Student’s grades, which were mostly A’s and B’s, were based upon homework, classroom assignments, and tests. Student’s homework assignments were not always finished. Ms. Konior acknowledged that Student’s grades were good, but that they were based on the assistance of her one-on-one aides. She also acknowledged that OLA was involved in litigation brought by Student’s parents although she did not know the subject matter of the litigation. When asked by the ALJ whether her classroom was appropriate for Student, Ms. Konior responded that she did not know. 5 Additionally, Student’s parents would not permit OLA to administer state standardized testing, such as the STAR testing, to Student. 76. Reimbursement of private school tuition may be denied if there is a judicial finding that a parent’s actions were unreasonable. In this case, Mother engaged in a pattern of conduct that contributed to the air of uncertainty with regard to the settlement she and the Districts had signed. 77. Mother had been aware of the amount of time the Districts’ proposed assessments would take since April 17, 2007, when the District first sent Parents an assessment plan. In spite of knowing the proposed duration of the assessments and having refused to sign the assessment plan, and in spite of her continued opposition to stated amount of time the assessments would take, Mother signed the settlement agreement on June 21, 2007. When she continued to insist that the duration of the assessment process was too lengthy, the Districts were led to believe that they did not have consent to the assessments. Mother at no time stated that she did not mean that her concerns should stop the assessment process. Her actions spoke otherwise: she requested assessment manuals which the Districts believed they could not produce based upon copyright issues. Mother’s educational advocate acknowledged that he has never been able to obtain the manuals either because he is not an educator or other professional certified to administer the assessments. Mother, however, persisted in requesting first the manuals, and then copies of other students’ assessment plans so that she could compare them to the one proposed for Student. Although she did not specifically refuse to produce Student for assessment, her actions caused the Districts to infer otherwise. The tone of her letters to the District was consistently belligerent and confrontational. Rather than seeking to resolve her issues with the Districts, she placed more roadblocks to resolution, such as when she stated that it would be difficult for Student to be assessed during the summer of 2007 because Student was attending the eight-week long Lindamood-Bell program. 79. The totality of Mother’s conduct, attitude, and interaction with the District during the time period covered by this case indicated that it was not her intent to resolve the issues with the Districts and ensure that Student was assessed. Issue One: Whether Student was Denied a FAPE Because the Districts failed to hold an IEP meeting at the request of Student’s parents to discuss the Districts’ proposed assessment plan and the length of time required by the Districts to conduct the assessment? 2. Student contends, in effect, that the Districts violated her procedural rights to a FAPE because they failed to hold a legally constituted IEP meeting on July 16, 2007, to discuss the June 13, 2007 assessment as requested by Mother. Student contends that the District did not give proper notice of the meeting, improperly permitted their attorney to attend, and did not have all required IEP team members present. The Districts respond that the meeting convened on July 16, 2007, was never intended as an IEP meeting and that there was no legal requirement that they convene an IEP meeting to discuss the assessment process. A pupil has received an initial assessment. The team may meet when a pupil receives any subsequent formal assessment. The pupil demonstrates a lack of anticipated progress. The parent or teacher requests a meeting to develop, review, or revise the individualized education program. At least annually, to review the pupil’s progress, the individualized education program, including whether the annual goals for the pupil are being achieved, and appropriateness of placement, and to make any necessary revisions. . . .
4. On June 13, 2007, Mother did not sign her consent to the assessment plan presented to her by the District. Instead, she checked off the box asking to discuss the plan before giving consent. She did not indicate anywhere on that document that she wished to discuss an IEP for Student. None of the situations described in Education Code, section 56343 apply to the facts of this case. Student did not have any assessments to review. The lack of present assessments is the underlying basis for the instant case. There was no issue regarding Student’s lack of progress at school as she was not in a District program and was not being educated pursuant to an IEP. Her progress or lack of it therefore was not at issue. Furthermore, no one, including Mother, had requested an IEP meeting to develop, review, or revise an IEP for Student. Finally, there was no request or need for an annual IEP review for Student because there is no evidence that she had an IEP. 5. Student’s reference in her closing brief to Education Code, section 56343.5 is inapposite because the 30-day timeline indicated in that section only applies to meetings convened pursuant to Education Code, section 56343, subdivision (c). As stated above, neither the Districts nor Parents requested the July 16, 2007 meeting in order to develop, review, or revise an IEP for Student. In order to develop an IEP, the Districts first needed to assess Student, which had not yet occurred. Issue Two: Whether the Districts Failed to Conduct the Assessments They Agreed to on June 21, 2007, and on Subsequent Dates, Thereby Denying Student a FAPE? 7. A review of the testimony, evidence, and closing briefs in this case indicates that Student really is making three arguments with regard to her contention that the Districts failed to assess her. Student’s three arguments are addressed separately below. Did the Districts Fail to Comply with the Settlement Agreement by Failing to Assess Student in Order to Develop an Offer of FAPE for the 2007-2008 School Year? 8. First, Student contends that the District failed to assess her pursuant to the June 21, 2007 settlement agreement between the parties even though her parents had given their consent for her to be assessed. Student contended in her original due process request as well as in her amended request that Mother consented to the assessments on June 13, 2007, when she signed the assessment plan. Student then presented an alternative contention at hearing and in her closing brief, maintaining that Parents consented to the assessment when they signed the settlement agreement on June 21, 2007. The Districts make alternative arguments. First, they contend that Parents never consented to the assessments because they never signed an assessment plan. The Districts maintain that they could not legally assess Student until an assessment plan was signed. They point to the fact that Parents never signed either of the two plans presented to them and, in fact, Mother indicated by her signature on June 13, 2007, that she wished to discuss the assessments before consenting to them. Alternatively, the Districts contend that if Parents did consent to the assessments by signing the settlement agreement, Mother’s actions in insisting that the proposed 12 to 15 hours for assessing Student was too long indicates that she, in effect, constructively revoked her consent to the assessments. 11. The Districts are correct that they had to have Parents’ consent before assessing Student. However, they are incorrect in stating that Parents never did consent to the assessment process. Mother did not give her consent on June 13, 2007, when she signed the assessment plan because she specifically checked the box requesting to discuss the plan before consenting to it. However, the parties subsequently reduced their settlement agreement to written form and, barely a week after Mother refused to consent to the assessment, executed a settlement agreement which was signed by both of Student’s parents. The settlement agreement specifically states that Parents were giving their consent to have Student assessed. 12. The Districts’ argument that Parents were required to sign an assessment plan in order to give consent fails for a variety of reasons. First, the Districts cite no authority for the proposition that consent must be given only on an assessment plan form and not in any other written manner. There is no reason why parents could not, for example, send a letter to a school district giving their written consent to an assessment plan previously proposed by the district. In this case, Parents gave their consent when they signed the settlement agreement. Second, the settlement agreement itself does not require Parents to sign a separate assessment plan. Had the Districts felt that specifically signing an assessment plan form was necessary in order to have full consent from Parents, they should have inserted such a clause into the settlement agreement itself. Finally, the Districts never gave or sent Parents an assessment plan to sign after the settlement agreement was executed. The Districts already knew that Mother had refused to give consent on the form given to her on June 13, 2007. If they wanted her to give consent on a form they should have sent her a new one to sign. At that point, Parents would either have stated that they had already given consent by signing the settlement agreement, would have signed the new form, or would have refused either course of action, indicating that they were not going to comply with the settlement agreement. 13. The Districts’ position that Parents constructively revoked consent is equally unpersuasive. Although Mother’s continued insistence that the proposed assessments were of too long a duration is troubling, as Student points out, Parents never actually refused to produce Student for assessments because they were never given any dates, times, and locations at which to produce her. The Districts never proposed assessment times orally nor in any of their written communications with Mother, despite Mother’s continued assertions that she wanted Student to be assessed and was not refusing to make her available. Neither did the Districts accept the dates and times eventually proposed by Mother in her October 11 and 31, 2007 letters, nor did they ever counter with alternative dates. It was impossible for Parents to refuse to produce Student when they never were asked to do so. 14. The Districts argue that even if they had proposed dates for the assessment, Parents would never have accepted them because Mother still believed that the proposed assessments were scheduled to take too much time and therefore would never have produced Student for the assessment. However, the Districts’ position is pure speculation because they never scheduled the assessments. 16. Similarly, the Districts here cannot argue that they did not need to formally schedule Student’s assessments because Mother had expressed her unwillingness to have Student assessed for the amount of time indicated on the assessment plan. Unless and until the assessments were specifically scheduled and Parents thereafter refused to produce Student or offer alternative dates and/or times, it is pure speculation that Parents would never have made Student available for the assessments. By relying solely on their perception of Mother’s actions, the Districts created a situation where it is impossible to truly know whether Parents would have produced Student for the assessments. Since the Districts were the parties scheduling the assessments and supplying the assessors and the tests themselves, it was incumbent on them to suggest possible dates to Parents. Parents were not in control of the process, had no authority to commit the Districts’ assessors to a specific date, time or location, and did not possess the assessment materials. Parents were unable to arrange for the assessments to take place. The Districts therefore had to initiate that process. Did the Districts Fail to Comply with Section A(5) of the Settlement Agreement when they Failed to Assess Student upon Mother’s Request? 18. Student contends that even if Parents failed to consent to have the Districts assess Student, the Districts were still in breach of the settlement agreement by failing to assess Student upon Mother’s numerous written requests for an assessment. The District does not address this issue in its brief. 19. As stated above in Factual Finding 11, the June 21, 2007 settlement agreement states that if Student was privately placed and Parents decided at a later time to request an offer of FAPE from the Districts, Parents were required to provide written notice of their interest to the District. Mother stated unequivocally in her letters that she sought an offer of FAPE from the Districts. However, the language of the settlement agreement does not require the Districts to offer an assessment upon receipt of Parents’ written notification that they were interested in an offer of FAPE. The settlement agreement is silent as to any actions the parties could or were required to take if Parents expressed their interest in writing in obtaining an offer of FAPE for Student. As stated in paragraph 10 of the Legal Conclusions, the clear language of a contract governs its interpretation. Here, there is nothing in the settlement agreement itself that would support a finding that the Districts were required to offer to assess Student if her parents expressed a desire to obtain an offer of FAPE for her. Did the Districts Violate Student’s Rights under the IDEA and State Law when they Failed to Assess Her Upon Parents’ Written Request for Assessment? 21. Student contends that the Districts were required to assess her upon Mother’s request under federal and state law irrespective of whether they were required to do so by operation of the settlement agreement. Student argues that the Districts’ obligation stems from their duties under the statutes requiring that districts assess students when parents have made a written referral for assessment for their child. The Districts did not address this contention in their closing brief. However, in her communications with Mother during the time frame covered by this case, Ms. Spicer took the position that the Districts had no obligation to assess Student. Rather, she stated that since Student attended a private school, the school district where the private school is located was the only district obligated to assess Student. 24. In this case, Mother made numerous requests for an assessment and an offer of FAPE in her correspondence with Ms. Spicer, including in her letters dated August 1, October 11, and October 31, 2007. In the latter two letters, Mother even proposed dates and times for Student’s assessments. She therefore met her obligation of making a written request for assessment. The Districts were obligated to provide Parents with an assessment plan for Student within 15 days of Mother’s initial written request for assessment. The Districts never provided an assessment plan to Mother pursuant to her requests. 27. Student contends in her closing brief that the appropriate remedy for the Districts’ failure to assess her and the resulting denial to her of a FAPE is reimbursement to her Parents for the cost of the educational expenses they funded for her during the 2007-2008 school year. Student requests reimbursement of the cost of her tuition and ancillary expenses at OLA. She also requests reimbursement for the wages paid to her one-on-one aides and for her private speech and language therapy sessions. Student contends that OLA was an appropriate placement for her since she progressed from fourth to fifth grade and received A’s and B’s for all her course work. She also contends that the services of the one-on-one aides and the speech and language sessions were necessary for her to benefit from her education. Finally, Student contends that Mother’s conduct was reasonable at all times. Student presented Mother’s testimony at hearing as well as documentary evidence to support the amount of reimbursement she believes is due to her parents. Student did not provide a specific dollar amount for the reimbursement she believes is owing to Parents. 28. The Districts contend Student’s claims for reimbursement should be denied because they did not violate any portion of the settlement agreement or any of Student’s rights to a FAPE. They further contend that Student’s claims for reimbursement should be denied because OLA was not an appropriate placement for Student and because Mother’s actions during the time frame covered by this case were unreasonable. 29. As discussed above, Student has met her burden of proof that Parents consented to having her assessed by the Districts and that the Districts thereafter failed to assess her pursuant to the settlement agreement. Student has also proven that the Districts violated her rights to a FAPE when they failed to assess her once Mother made a written request for assessment. However, as discussed below, while Parents are entitled to partial reimbursement of the expenses they incurred for Student’s educational expenses during the 2007-2008 school year, reimbursement is properly reduced because Student has failed to prove that OLA was an appropriate placement for her and because Mother’s actions during the time period at issue were unreasonable. Finally, reimbursement will be ordered only where Student has provided sufficient supporting evidence of the costs incurred by her parents. 33. Although OLA is credentialed through the Western Association of Schools and Colleges, has employees credentialed as general education teachers, and probably provides a good education for typical students, it does not have any special education teachers, one-on-one aides, or professionals who provide related services on staff. It does not have any special education programs, does not provide any related programs, and does not provide any special education services or instruction at all to its students. Nor does it provide modified curriculums. OLA is only able to provide accommodations to pupils, as it did to Student, through 504 plans. 34. The evidence supports the conclusion that the only way Student was able to achieve any educational benefit from attending OLA was through the array of supports provided to her by her parents both at school and in off-campus programs. Parents paid for a full-time aide to be with Student in class during all academic instruction. Student was not being taught by her teacher Ms. Konior; rather, she was being taught by her aides on a one-on-one basis and would not have been able to access the curriculum had they not been there to re-teach the subject matter and make it simpler for her to understand. The instruction by the aides was not sufficient and Parents therefore provided Student with after-school tutoring at Kumon. Student additionally required speech and language therapy. Since OLA did not provide that service, Parents had to fund it themselves with a private therapist. Finally, because OLA does not provide special education and related services to its students, it is not prepared to develop IEP’s for them, and thus never developed one for Student. 36. Furthermore, as stated above, the reasonableness of a parent’s actions impacts the decision of whether a hearing officer or court should order a school district to reimburse private school expenses. (Puyallup, supra, 31 F.3d at p. 1496.) In this case, Mother’s actions in questioning the time necessary to assess Student were not reasonable. She continued to question the amount of time necessary even after she signed a settlement agreement consenting to have Student assessed. If she did not believe the assessment was appropriate, she should not have signed the settlement agreement. Mother demanded that the Districts provide copies of manuals which they stated they could not provide, and then demanded copies of the assessment plans for other students. Throughout the course of her dispute with the Districts concerning the length of time to assess Student, Mother never provided any justification for her concerns other than the fact it had taken less time to assess Student in the past, when Student was much younger. She never provided any reasons, such as Student’s medically or emotionally fragile state, that would be a basis for her concern about the duration of the assessments. Mother’s actions must therefore be taken into account in a final determination of whether and to what extent reimbursement for expenses is available to Parents. 1. Student’s parents are entitled to reimbursement in the total amount of $6,999.25 for the costs of Student’s one-on-one aides and for the costs of speech and language therapy sessions they funded for Student. The Districts are ordered to provide payment in this amount to Parents within 45 days of receipt of this Decision. Pursuant to California Education Code section 56507, subdivision (d), the hearing decision must indicate the extent to which each party has prevailed on each issue heard and decided. Here, the Districts fully prevailed on Issue One. Student substantially prevailed on Issue Two.